Everyone has heard the superstitions and rumors that surround beautiful black cats. 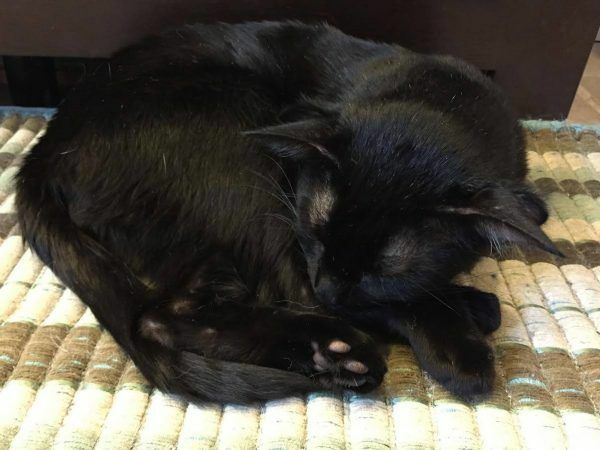 When left at shelters they take longer to be adopted than almost any other type of cat, so when this adorable black cat named Batman was given to a shelter, they may have thought his chances of finding a family was slim. His family didn't want to let him go, but with more pets, in the house, they could no longer care for him the way they wanted to. Luckily Batman isn't just any normal black cat. Due to a genetic mutation, Batman was born with two sets of ears, one set in front and one set behind. 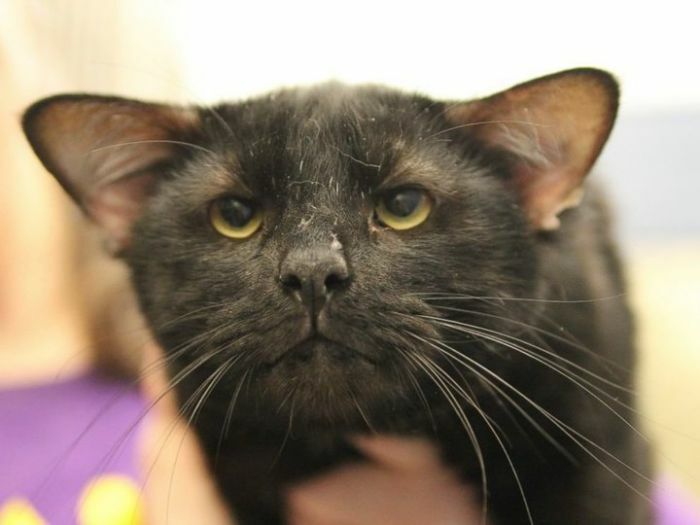 The managing director of the Western Pennsylvania Society had never seen anything like Batman before, but after taking a few weeks to treat him for a respiratory infection, they were more than ready to find him a loving home. And they did just that! 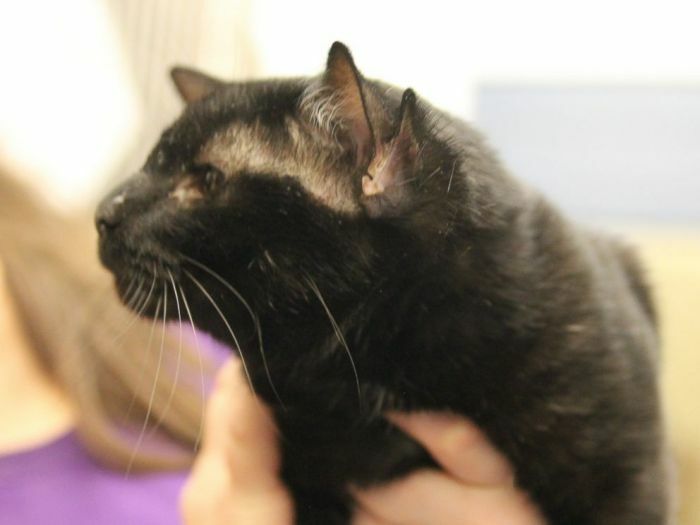 This super cuddly and loving cat found a new home only hours after being put up for adoption. Batman is only 3 years old and has many years left to get all the cuddles and love he deserves from his new family, a mother and a little girl who loves superheroes. Batman's condition is thought to be caused by a recessive gene that has to be found in both parents of a cat and is completely normal, although rare. The condition is thought to have been around since 1936 when a 4 ears cat named Toots was discovered living in Ashtabula, Ohio.